Africa abounds with incredible sights, from soaring sand dunes to savannas teeming with wildlife. Experience the continent’s many wonders with expert tour guides. Iceland's capital and largest city is located on the country's southwest coast at the head of Faxafloi Bay. Settled in 877 AD, Reykjavik has grown into center of education, museums and observatories. Asia’s rivers have long been the lifeblood of civilizations. Asia of old lives along these shores, in floating markets, tiny villages and centuries-old temples. 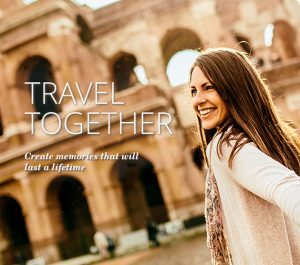 The Thinking Person’s Cruise® Every aspect of your Viking cruise is designed for the curious traveler seeking rich cultural immersion: on shore, on board, as well as pre- and post-travel. Live the good life! Spend the day at the beach, grab snacks on a whim, enjoy entertainment all day and then settle down for a gourmet meal, all without reaching for your wallet. From cosmopolitan city centres to the heart of the Canadian Rockies, Rocky Mountaineer's rail routes offer you the most jaw-dropping sights Western Canada has to offer. Your All-Inclusive Vacation Includes: Roundtrip Airfare, Hotel Accommodations, Roundtrip Airport Transfers, and the services of an in-resort Representative. Find a wide variety of exciting, appealing, and enriching shore excursions at prices lower than those of the cruise lines. Visit a wide variety of exciting, appealing, and exceptional locations around the world in smaller more intimate groups, providing up-close access to exclusive travel experiences at exceptionally low prices. You've found the place for the perfect honeymoon or wedding spot! Design your custom wedding gift registry from ideas we've showcased or include your personalized honeymoon wishes. Our success is built on real travel experience, strong relationships with our partners and dedication to providing the highest quality service to our clients. Our local travel agents can assist you with all your travel needs and offer you the best rates, preferred amenities and much more. Representing the leading tour companies and the world's top cruise lines, Gulliver’s personal travel counselors can help you plan your travel to exciting destinations such as Hawaii, the Caribbean, Mexico, Disney World and Europe or wherever you want to go. Our commitment to customer satisfaction is what makes us the leader in the travel industry. Gulliver's Travel is a full-service travel agency based in Fort Worth, Texas, as well as Winston-Salem, North Carolina. Call us today and let us help you plan your travel!